Enroll your children, ages 5-12, for a free week-long day camp with the goal of learning how to be ecologically friendly. Children who are 5 years old will be accepted if they will be in First Grade in August. EcoCamp takes place from Monday to Friday. Daily themes will explore the earth’s traditional basic elements: Earth, Air, Water, Fire and Spirit. Activities galore including scientific demonstrations, games, songs, art/crafts, stories, nature activities, scavenger hunts, green technology, growing food, recycling and much MORE, including a free camp tee-shirt. Campers (and families) are invited to participate in a Saturday action in Springfield (July 27th) and a Sunday graduation program and celebration at ALUUC (July 28th), which will be the weekend after camp. Registration for the next Eco Camp will be open to the public in May or June 2019. Eco Camp depends on your financial and physical support to make it a great success. We hope to leave a lasting impression on these young children of the importance of protecting Planet Earth. They are our future leaders. If you find a volunteer opportunity that suits you, please know that all times are flexible. We appreciate any time you can give to helping us teach these children. Meals and snacks are provided by volunteers. To volunteer to help with lunches and snacks, contact Elaine Orr. Planners need 12 people to help with the initial processing of campers as they arrive Monday morning. This is a very exciting and busy part of camp. As the children begin to show up Monday between 9 and 9:30 am, we have a long table set up in order to get the kids their name tags, galleon bags, “class robes”, and get them pointed in the right direction. Monday is sorting day which means that campers who are new to camp get placed in one of four Houses. They will remain in that house each year they return to camp. Each new camper takes a turn sitting in the sorting chair and the sorting hat magically chooses which house best suits the camper’s personality. Volunteers duties: Be assigned a station along the registration table. During lunch the campers are split into two groups of thirty children each. They rotate between eating lunch in the Great Hall (Sanctuary) and playing on the playground. Although the Prefects (Junior Counselors) are present to guide and supervise the playground area, an adult volunteer is needed to increase safety and offer guidance to the teen Prefect. Volunteers duties: Be present in the playground during lunch. ALUUC provides a morning and afternoon snack and lunch for 60 campers, 18 Prefects, and 15 adults. Kitchen helpers can come for one of three shifts: 9:30-11:30, 11:30 -1:30, or 1:30-3:30 pm. Plan on helping just a little before and after your shift in order to allow new volunteers to get on track. We will have food prep gloves. Tasks will include food prep, serving food to campers, and clean up. To volunteer to help with lunches and snacks, contact Elaine Orr. The campers go through fresh veggies and cookies in huge quantities. You can donate cut up veggies or those that require washing and cutting. The local farmers’ market is a great source. All cookies except those containing nuts or nut products are welcome. They can be provided any day, or left at church the Sunday before, and we’ll stick them in the refrigerator for later in the week. For more information, contact Elaine Orr. 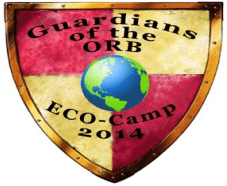 Eco Camp planners coordinate themed activities, crafts, and workshops on Tuesday, Wednesday, and Thursday. Tuesday is Air Day, Wednesday is Fire Day, and Thursday is Earth Day. If you have ideas or know people who teach conservation and ecological stewardship and you think it would be a good experience for Eco Campers, please let us know. Volunteers duties: Organize and teach two 45 minute workshops with classes of 15 campers. This is our Friday reward party when campers get to let loose and have some treats. They get to spend the Galleons they earned throughout the week for winning at games, having a good attitude, listening to the prefects and answering trivia. There will be several tables such as the Filch’s Toy Store (full of campers’ donated toys), the kitchen serving Butterbeer & chocolate frogs, a movie area, a photo area, snow cones, and other games and fun activities. Other examples are Crafts, Wand Repair and Professor Flippy’s Psychic Predictions. You may choose to work a table, or you may have an idea or a resource for a game, craft or whatever that you think the campers would enjoy. Volunteers duties: Supervise an activity table at Hogsmeade, collect Galleons from Campers. On the Saturday following Eco Camp, we set up a canopy in the Artisan Area of the Farmer’s Market. In the past, we have shown passersby how to make bags from recycled T-shirts, and he children marched around singing songs and carrying signs about being Earth-friendly. We have used a bag monster costume made of 700 recycled grocery bags that represents the number of these bags the average American uses every year. This year we have discussed changing the theme, but continuing to do the march and chants. We are also interested in doing a street performance or play of some sort. We are looking for creative people to help choose an appropriate theme or help develop the street performance or play act that may be appropriate for the Farmer’s Market. Volunteers duties: Make bags from t-shirts and/or help with our booth’s activity, or help with street performance or theme. Volunteers duties: Help set up tables for activities. Help clean up for Sunday service. Day: Sunday before camp for the set up; Friday of camp to tear down/clean up. We are asking for donations of any amount to support Eco Camp. We estimate that $50 will sponsor one camper. Your support allows us to offer this wonderful camp for free. Please give generously. We will use your contribution to educate the environmental stewards of tomorrow. These kids may one day save the planet!
. We will be accepting donations for Eco Camp after church services. You can also mail your donation to ALUUC, 745 Woodside Road, Springfield, IL 62711. Write Eco Camp in the memo line. We will have a Eco Camp fundraiser in July. Stay tuned for details! 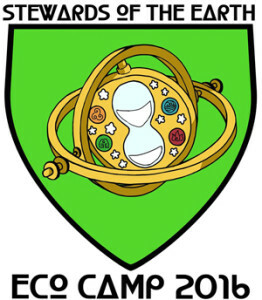 *Eco Camp logos are original artworks by Zion Engel.